Wilma was active in the church and community. 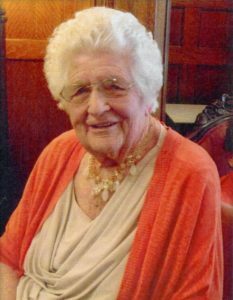 She served for many years as a primary teacher and as a visiting teacher. The calling she loved best was compassionate service leader. She helped organize many funeral dinners, as well as dinners to families in the ward in times of need. She also made many quilts for the church Humanitarian Center. Many people in the community remember getting a visit and a plate of cinnamon rolls from her. She was active in the American Legion Auxiliary. She received the Wheelon award for service to the community. She volunteered at the Tremonton Food Pantry. She worked as a cook for the Western Trails Café for many years. Services will be held on Thursday, April 18, 2019 at 11 a.m. Viewings will be held on Wednesday, April 17, 2019 from 6-8 p.m. and prior to the funeral from 9:30 -10:30 a.m. All services will be held at the Garland Tabernacle (140 West Factory Street).